What are the benefits and insights of MS Project Training? It is absolutely necessary to have sound project management knowledge for a good project manager but is that really sufficient….?? Especially, for managing long duration, complex and complicated projects, managing projects with a lot of interdependencies coupled with frequent resource churn, gaps in resource capabilities, changing requirements, varied reporting requirements from stakeholders?……. While a seasoned project manager might be able to still manage the project by investing a lot of time and energy in manual planning, tracking and controlling activities and updating static charts, most would struggle to do that. Even a seasoned project manager would be hard pressed for time to provide real value-added services to the project that are demanded by dynamically changing project environments. This is where a Project Management tool like Microsoft Project comes in handy. It allows you to plan a project in detail by building a dynamic schedule model and makes tracking and controlling easier by automatically updating the impacted areas in response to changes and updates you make, highlighting any conflicts. This frees up your bandwidth for real value-added work like stakeholder engagement, alternatives analysis, scanning environment for changes and risks etc. MS-Project is an Industry standard tool with huge social presence. It is used by over 22,000,000 users across large and small businesses. 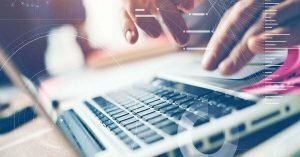 Though it was traditionally used for large enterprise-wide project management, 67% of even small businesses are found to use it today. Many companies mandate their project managers to be proficient in Microsoft Project. Experts and Project Management practitioners have extensively used MS-Project and have seen the product evolve over a period of time and can safely say that it is one of the best in class project management software- worth the investment. Let’s have a look into some of the insights into MS-Project capabilities and features. Develop and Manage project schedules: You can create tasks based on duration or effort and assign resources either full time or part time making use of custom created task, resource and project calendars. MS-Project allows you to set 11 baselines and 10 Interim plans to help create snapshots of project schedules for comparison. Allocate and manage project resources: You can create different types of resources, assign costs to them and manage their allocation to tasks. MS-Project allows you to create a different resource calendar for every resource – a useful feature for multi-country projects. Share resources with a common resource pool: You can create common resource pool that helps identify shared resource conflicts with other projects early. This helps in managing Resource data centrally and results in better resource management and utilization. Earned Value Management: Helps you to monitor and control integrated performance of project w.r.t. work, schedule, and cost. Ability to meet diverse reporting needs using – both built-in and custom reports: MS-Project provides a lot of Out of the box (pre-canned) reports such as burndown, task overview, resource overview etc. You can create custom reports and save custom report templates for use on other projects and also create dashboards for multiple projects using master project plan. Ability to manage multiple projects with a master project plan: You can track multiple projects or portfolio of projects. Ability to provide different views which can be customized: You can create a number of different views such as Gantt, Resource Usage, Task Sheet, Calendar etc. to see the project data from different angles for focusing on certain areas and analysis. Project timeline view: You can create customized bird’s-eye view of the project that can be directly used in stakeholder presentations and email. Create custom fields to capture specific details: MS-Project allows you to add different types of custom fields such as text, number, flag and then use formulas to populate them. You can create custom fields such as comments, team names etc to store information about your organization, team etc. and also associate images or other graphics instead of text. You can implement traffic light indicators with custom fields for effective status communication within the team. Filters, groups, and highlights to help with task management: MS-Project provides some very convenient features like Filters, Highlights, and Groups. You can use the features to filter and highlight resources or tasks based on certain criteria such as late tasks. You can use Groups feature to group resources or tasks on certain criteria. You can create custom highlights, filters or groups. Integrates well with other tools: You can use MS-Project with other tools such as MS-Excel, Jira etc. Also, you can use MS-Project with Enterprise based solutions such as Project Server and Sharepoint. Let us look at some of the benefits that we can derive by making effective use of MS-Project capabilities. Always stay in control. Know and communicate project status accurately on demand. Never lose focus on the critical path and maintain awareness potential of conflicts via traffic light implementation and early warning indicators. Run what-if scenarios quickly to assess impacts of various alternatives. Ease of integration with other tools helps communicate with diverse stakeholders easily. Optimise resource utilization across projects in the organization using shared resource pool and effective use of different calendars. MS-Project is very user-friendly and easy to learn. It has a very intuitive experience driven UI and anyone with a bit of project management experience will get the confidence to use the tool effectively with a mere 16hours of systematic training such as the one provided by ProThoughts. As it is a widely used tool, there is a lot of online content and help available for Microsoft Project. Users of MS-Project can keep themselves updated and exploit the features provided by latest MS-Project version to the fullest using such online resources. 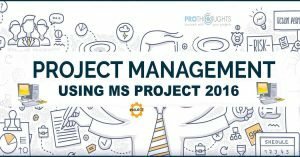 We would strongly recommend you to gain proficiency in MS-Project if you are seriously thinking about building your career as a Project, Program or Portfolio Manager. PMP Certification Journey: An average student like me!